We are engaged in offering Corneal Buttons. We at DSA Exports offers a broad range of Surgical Knives for ophthalmic and other microsurgical procedures. 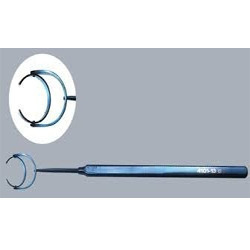 Our company is a prime manufacturer, exporter, importer, trader and supplier of an excellent assortment of Ophthalmic Depressor. The offered product is manufactured from the high grade material & best methodology keeping in sync with the norms of market. Also, our product is checked from our side before supplying to customer’s end. This product is available with us in diverse sizes and other specifications to meet the specific requirements of customers. 1. Lachrymal sac retractor spring action with screw lock 3x3 semi sharp prongs. 2. Lachrymal sac retractor curved with 3x3 semi sharp prongs screw controlled. 4. 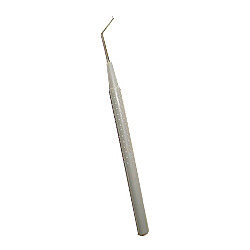 Tissue retractor thin curved blade, size 7mm, 9mm, 11mm wide. 5. Lacrimal retractor 4 prongs, available in blunt & sharp prongs. 6. Orbital retractor 14mm wide, 56mm long blade with 4.5mm wide notch in the blade. 7. 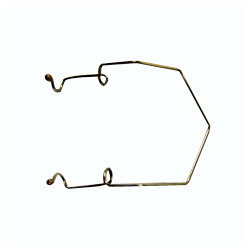 Lid retractor, blade size 7.5mm, 11mm, 13mm, 15mm, and 17mm wide. 8. 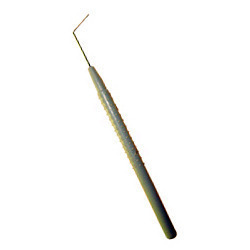 Iris retractor 3.5mm wide and gently curved shaft. 9. Titanium lachrymal sac retractor curved with 3x3 semi sharp prongs screw controlled. 10. Titanium lacrimal retractor 4 prongs, available in blunt & sharp prongs. Sapphire Knives used in Ophthalmic Surgery. 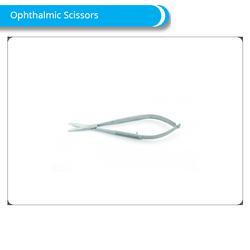 We at DSA Exports offers a wide range of Ophthalmic Scissors for ophthalmic procedures. 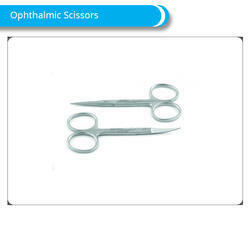 Our Scissors range includes Tenotomy Scissors,Suture Scissors, Corneal Scissors and Iris Scissors. DSA Exports continues to enhance its presence in the International market through innovation, wide range of Products, export oriented approach and thoroughly professional management. Drop us mail on dsaexportsindiaatgmail.com. Our company is placed among the foremost manufacturer, exporter, importer, trader and supplier of Horizontal Vertical Prism Bars that are having unique integrated designs and there is no need for two separate bars for the same. This product is manufactured under the supervision of professionals utilizing finest quality material & contemporary techniques. 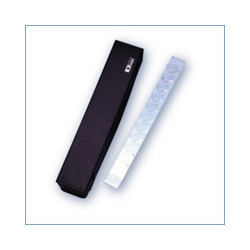 The optical surfaces of these prism bars are recessed for optimum protection. Also, this product is checked in terms of quality before dispatching from our end. Wire speculums are made of flexible stainless steel wire with bulbs at end & are comfortable to obtain additional traction for the upper eyelid. Our wire speculums / eye speculums are widely proffered by global consumers for their precise design, high performance & affordability. This manipulating hook (even known as chopper / nucleus chopper / blunt chopper) has a blunt edged cutting end & a round serrated handle. The manipulator is individually packed for single use. Applications: Used to fracture/cut the cataract nucleus. Spatula shaped manipulators are meticulously designed manipulating hooks with stainless steel tip and plastic handle. It has a tip that is bent to form a scoop at the end. The smooth, round edges allow for safe manipulation within the ey.